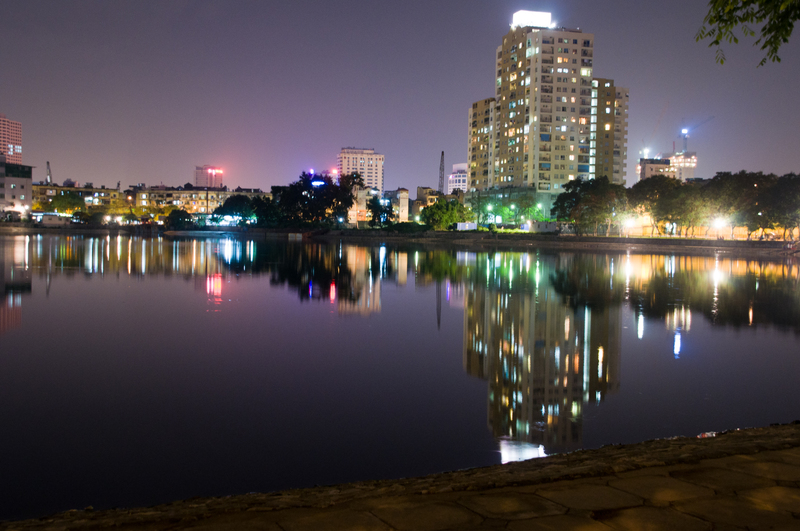 Last Wednesday, I drove past Giang Vo Lake on my way home from work – as I always do – when I decided that this would be a good time and place to practice shooting night scenery. I didn’t have a tripod, so I just set my camera on a cement ledge. I set the shutter speed at 4 or 5 seconds (can’t remember now off the top of my head). I didn’t have a remote and didn’t use the timer (I’ve since learned that it is a good method to avoid camera shake…picking things up as I go). Not bad results, but I need to find a more scenic location in the future.